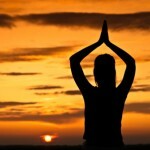 Throughout the world, Yoga is better known as “Hatha Yoga” (unity of mind, body, and spirit through physical mastery). Do we understand how Yoga will awaken consciousness? Who wants to awaken his or her consciousness? Why should we awaken anything? Why are extremist groups so against awakening the consciousness of your mind? The following article takes a deeper look into the practice of Yoga for the purpose of awakening consciousness. Do we understand how Yoga will awaken consciousness? Imagine and visualize the mind as a rock. If this were the case, we would not change much because we would not have the ability to learn new ideas. We could live in the “Dark Ages.” We would refuse to accept new ideas, and we could accuse anyone with new ideas of being irreverent or impious. We could take great pride in stubbornness, ignorance, and being ill tempered. The mind can be much like a rock, if we put our heads in the sand and refuse to see or hear. Yoga and meditation give us a ‘tried and true” method to unfold the layers of rock. Patanjali described Eight Limbs of Yoga, in the Yoga Sutras, and each limb is a method for unfolding the consciousness from within the mind. Each limb Patanjali describes is important. There are no “short cuts.” The Yoga Sutras are a “map” to unfolding one’s consciousness. Yoga training and practice are crucial to opening the mind. There are other systems for training the mind; but if you trace their roots, most paths lead back to Yoga. Who wants to awaken his or her consciousness? These days, it is as hard to open consciousness as it ever has been in the past. Most people are easily distracted. Have you ever tried to hold a conversation with a person who has a smart phone beeping, buzzing, or ringing in his or her pocket? It is impossible to communicate with someone who is in the middle of multiple conversations. Although we have access to more information than ever, we are bombarded by messages. As always, some of the messages we receive are erroneous. Who has time to decipher through the multitude of messages to find the pure truth? This constant barrage of misinformation is a significant force that drives people to make misinformed decisions. Therefore, anyone should strive to unfold his or her mind. As Yoga practitioners, this requires us to disconnect from electronic devices for part of each day. The objective of opening the mind is no longer reserved to someone who teaches Yoga classes. Opening the mind, to what is happening around us, enables us to live a quality life. Why should we awaken anything? Some political and religious fundamentalists are against any kind of change. To them, everything is carved in stone, the old ways are the best ways, and compromise is a sign of weakness. Should we have continued on the path of social injustice and slavery? Why are extremist groups so against awakening the consciousness within your mind? It’s all about control. For example: The Dark Ages of Europe were a great time for extremists to suppress new ideas. Heaven forbid that anyone state: The Earth revolved around the Sun. At that time, to make any such statement about science or astronomy would be a reason to face an inquisition by civil authorities for the charge of “heresy.” Confessions were often extracted by torture; and the possible punishments for having an open mind could be imprisonment, hanging, or being burned at the stake. Needless to say, awakening the consciousness through Yoga practice will help you and the rest of humanity. Yoga is very much a journey of self-discovery and its doctrine is non-violent. Beware of those who seek to divide us into conflicting groups. The path to happiness is walking the fine line of moderation for the advancement of humanity. See our testimonials to find out what our graduates have to say about our selection of distance learning yoga instructor certification courses.